Be it an incredible coffee table book, a page-turning novel, or an interesting article, I am always on the hunt for good reading material. 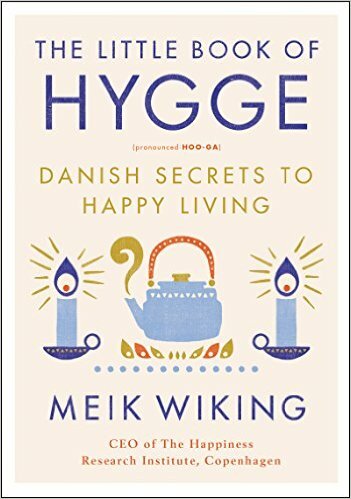 My current pick is The Little Book of Hygge: Danish Secrets to Happy Living by Meik Wiking. 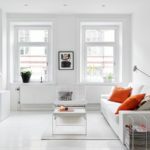 The Danish philosophy of creating a cozy, comfortable home is a trending topic right now, with everyone from The New York Times to Man Repeller posting about the subject. I dedicated an entire blog post to mastering the art of hygge and shared some of our favorite Scandinavian-inspired design DIYs, so you can imagine my excitement over this great new read. In this book, Meik Wiking, CEO of The Happiness Research Institute in Copenhagen, provides a peek into the lives of the happiest people in the world, the Danes. Researchers at the institute are always working to uncover the secrets behind our happiness, including ways to improve quality of life and how to apply that to every living. Wiking, often described as “the world’s happiest man,” is 100% committed to discovering what makes us truly happy. His passion for the pursuit of happiness translates to public speaking engagements and lectures around the globe, and now, a book dedicated to the concept. His research on the topic heavily points to the Danish word Hygge as the answer. Loosely translated, Hygge means comfort and peace—two principles that Wiking intends to help you discover in your own life. The Little Book of Hygge presents ways to introduce happiness into your hearth, including taking a break from your hectic routine (Wiking recommends doing this with cake), staying in tune with the world around you (and off your cell phone), and getting comfortable, even on the toughest of days. Hygge also translates to happiness and community, two powerful ideals that are even stronger when shared with others. Wiking appeals to the minimalist in all of us in his favoring of warm sunlight over ornate light fixtures. He teaches us that Hygge can be incorporated into any home with a little light and love. Help spread the joy by gifting this book to friends and family seeking to turn their home into a true happy place, and keep your copy on hand to turn to on challenging or lackluster days.